Whether you’re building it for yourself or your grandkids, a pool is an excellent addition to just about any home. It adds value while giving you a place to stay fit, relieve some stress, and bond with the family. 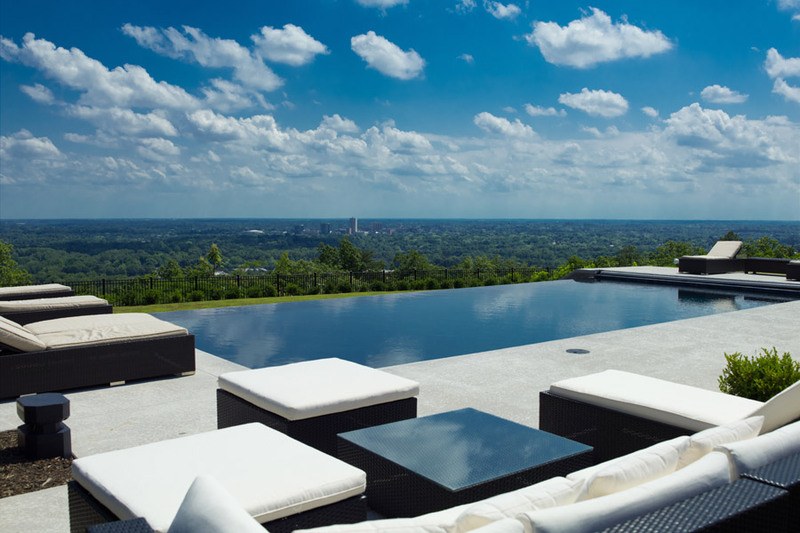 Genco Pools & Spas specializes in the construction, renovation, repair and maintenance of inground gunite and vinyl swimming pools. We take the time to get to know you, asking about your personal style and how you plan to use the pool so that we can incorporate features that are relevant to you. Whether starting from scratch or updating an older pool, we can create an outdoor living space that fits you and your family perfectly. Genco builds and services throughout the upstate of South Carolina in Greenville and Spartanburg. Based on our construction and design experience, we’re confident that we can build any pool you imagine. We can even bring it to life before touching your backyard! 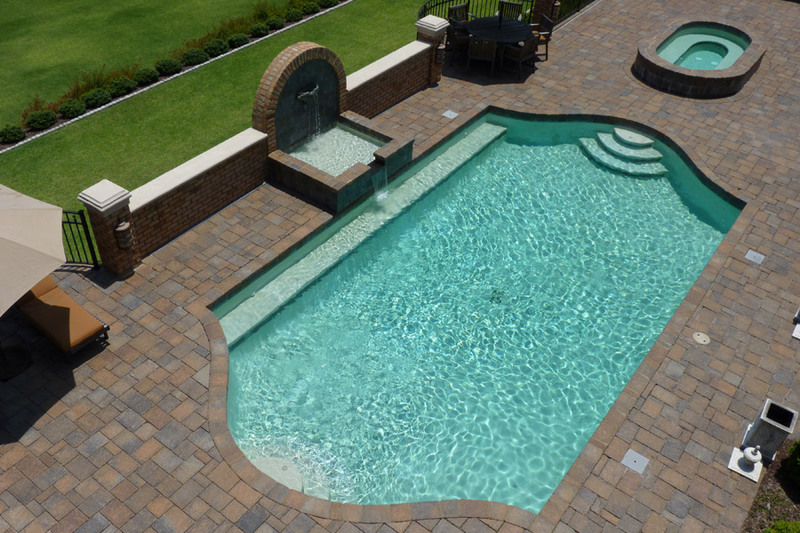 Our team has experience in building both gunite and vinyl pools. With aerial imaging and surveying, Genco Pools & Spas can create an artistic representation of your dream pool, in your backyard, to scale. Will you swim laps? Is it for your children or grandchildren? Do you plan on entertaining guests? 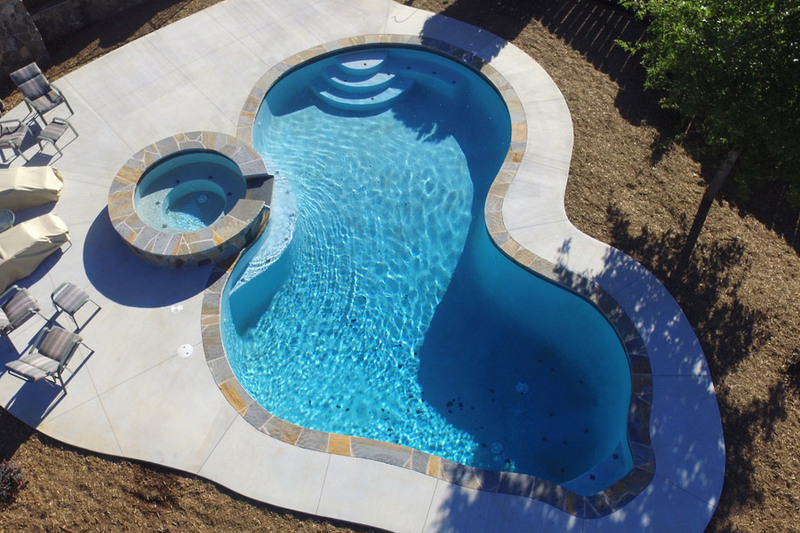 Once we know what you’re looking for, we measure elevations and take the first set of aerial images using a drone, eventually turning this into an accurate depiction of your dream pool, in YOUR backyard. Aerial imaging offers the benefit of taking the guess work out of what the pool will look like in your own yard, giving you the peace of mind that you’re making the right decisions. Want to Know More About Potential Costs? 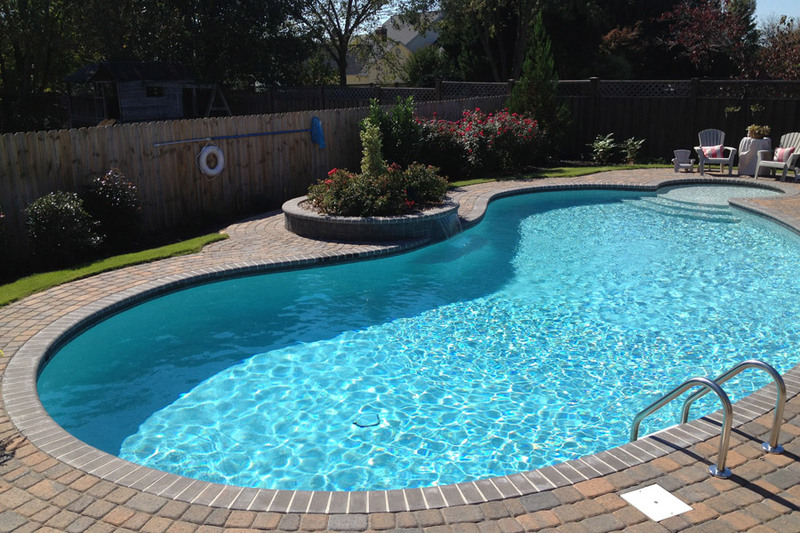 Our team specializes in residential pool renovations – whether you’re replacing cracked concrete or installing water features – we have the expertise to get it done with ease and within budget.